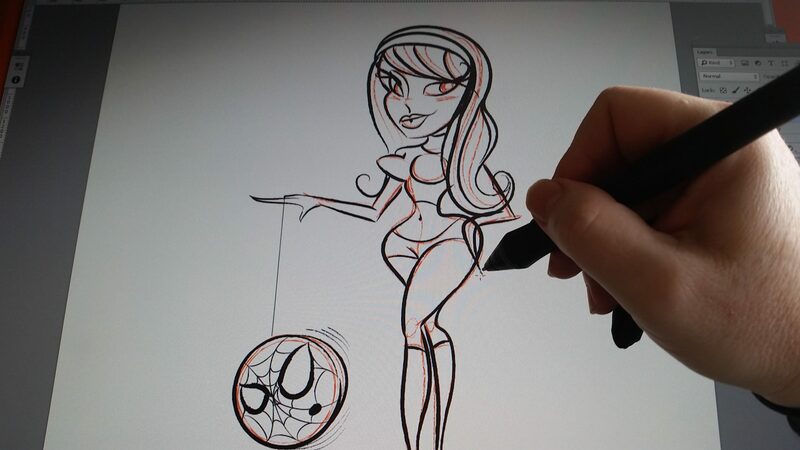 I’m working on a series of sketches for a new Groovy Flipside piece. This time it’s a mashup of Spider-Man’s Gwen Stacy and Yo-Yos. As a kid I used to be hooked on her so bad! It’s kind of funny to think of her playing with a Spider-Man Yo-Yo.